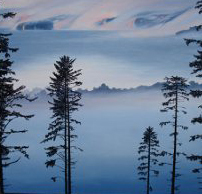 The gallery will present a selection of new and recent works by five of its artists. 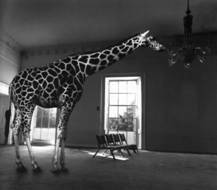 Nicky Coutts’ High is a photograph of a young life-size giraffe in a ballroom. Coutts studied at Chelsea College of Arts and obtained a PhD from the Royal College of Art. She has just finished a six-month fellowship at Künstlerhaus Schloss Balmoral, Germany. Katie Deith’s series of new paintings was specially produced for the London Art Fair. Deith studied at the Slade School of Fine Art, London. Recently she was included in Natural Causes, Wings Projects, Switzerland; The Real Ideal, The Millennium Galleries, Sheffield. Tessa Farmer’s glass domes contain intricate fairies, fabricated from recycled insect wings and plant roots in new assemblages. Farmer received her BA in 2000 and her MA in 2003 from the Ruskin, Oxford. Recent exhibitions include Extraordinary Measures at Belsay Hall, Newcastle, 2010, Dead or Alive, Museum of Arts and Design, New York, 2010. She is showing at Newspeak: British Art Now, Saatchi Gallery London, 26 October – 17 April 2011. 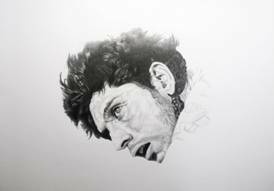 Karin Kihlberg and Reuben Henry’s drawings depict actors acting dead in films. In 2009 they were awarded the first prize for the ASPEX Emergency 4 exhibition. Recent group exhibitions include Art Futures, Bloomberg Space, Art Summer University, Tate Modern, The 100 Ideas Festival, Hayward Gallery. Kihlberg and Henry are currently working as researchers in the fine art department at the Jan van Eyck Academie in Maastricht, The Netherlands. 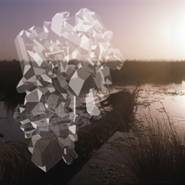 Heather and Ivan Morison’s photograph Borax, shows a crystallised formation superimposed on to an exotic landscape. The Morisons live and work in Brighton. Recent exhibitions include An Unreachable Country. A Long Way to Go, Aspex Gallery, Portsmouth, Frost King, Open Satellite, Seattle, USA, Mr. Clevver, ongoing project commissioned by Contemporary Art Spaces Tasmania, Queenstown, Tasmania, AU and Volta 6, Basel, Switzerland, Mythologies, Haunch of Venison, London and Radical Nature, Barbican, London, Tales in Space and Time, Folkestone Sculpture Triennial, I am so sorry. Goodbye, Tatton Park Biennial, Tatton Park, Cheshire.